McLaren has revealed its 2019 Formula 1 car will be launched on February 14. Formula 1 has offered hints at possible alternatives to grid penalties in a new survey for fans. 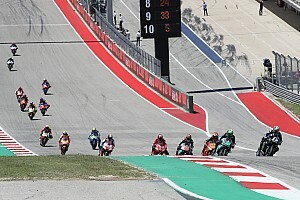 Official attendance figures released by Formula 1 reveal the British Grand Prix had the highest attendance of any race during the 2018 season. Nicolas Todt has sold his stake in the ART Grand Prix team he founded with current Sauber Formula 1 boss Frederic Vasseur in 2004. The debate over how best to deal with track limits abuses in Formula 1 has rumbled on for long enough. With stricter enforcement, there's no question drivers would quickly learn to abide by the rules. Daniel Ricciardo said goodbye to the Red Bull Formula 1 team on Friday with his final official visit to the team’s factory in Milton Keynes. Max Verstappen says he will not be made to "look like an idiot" when he completes his two days of 'public service' for the FIA. Formula 1 world champions Lewis Hamilton and Sebastian Vettel have swapped crash helmets to show their respect for each other at the end of the 2018 season. Max Verstappen says oil from Pierre Gasly's failing Honda Formula 1 engine left him with a "horrible" lack of vision in the closing laps of the Abu Dhabi Grand Prix. Ricciardo says his strategy put leaders "out of reach"
Daniel Ricciardo says his alternative strategy that allowed him to lead part of the Abu Dhabi Grand Prix left him "out of reach" in the lead battle at the end. Hamilton ran #1 despite "not liking it at all"
Lewis Hamilton has explained why he ran the number one on his Mercedes Formula 1 car in Abu Dhabi Grand Prix first practice, even though he dislikes it. 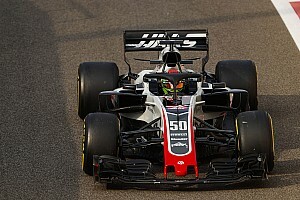 Romain Grosjean believes the long kerb between the final two corners at the Yas Marina circuit is not "F1 standard" after it started to break up during free practice. Fernando Alonso could test McLaren's 2019 Formula 1 car, and the team expects him to continue to play a role in helping its fortunes next season. Daniel Ricciardo says he feels like he is taking "uppercuts" with the number of problems he's had in the final part of the 2018 Formula 1 season. Formula 1 sporting boss Ross Brawn says simulation work being carried out to assess the technical changes being made for 2019 is showing "tangible" effects that should improve the racing. Formula 1 sporting boss Ross Brawn says Max Verstappen showed he is not capable of keeping his emotions in check in his post-race confrontation with Esteban Ocon in Brazil. Red Bull Formula 1 team principal Christian Horner has defended Max Verstappen over his physical altercation with Esteban Ocon after the collision that cost him Brazilian Grand Prix victory. Hamilton questions Verstappen mindset in Ocon "racing incident"
Brazilian Grand Prix winner Lewis Hamilton says he would have taken a different approach to Max Verstappen in the incident with Esteban Ocon that cost the Red Bull driver victory.